I’m sure that for the sake of convenience, we’ve all tried some of many, many ‘healthy’ choice ready meals. From the official Slimming World meals to Asda Slimzone the choice seems to be endless. We were sent a few of the range to try, and here’s our thoughts on the 3 we tried. Recently, there’s been a new brand pop up on the market. My Healthy Kitchen (MyHK). 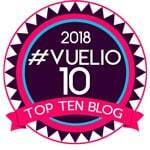 They’re marketed as ‘Tasty, Wholesome, Fast’ and each meal is ‘under 500 calories and made with nutritious ingredients, with no artificial flavours, colours, or preservatives’. They’re actually really well designed. They all have a tray that separates the sauce, so you don’t end up with a mushy mess. 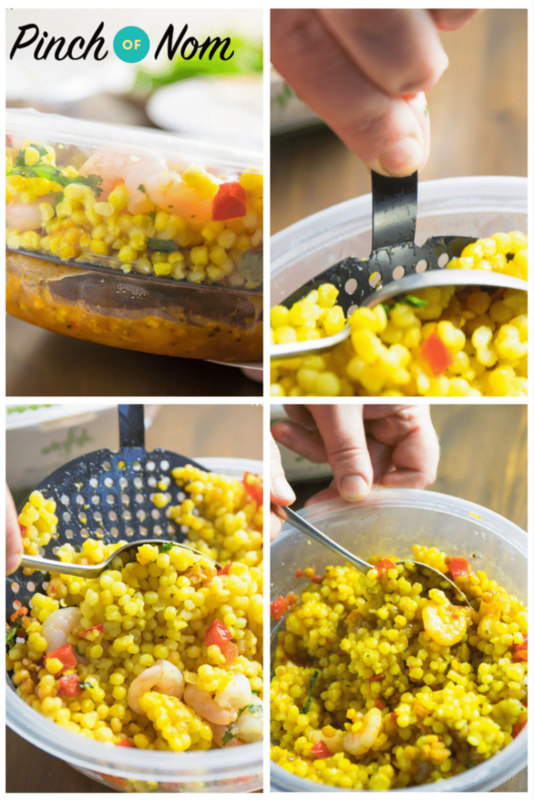 Just cook, pull out the tray, stir and eat! 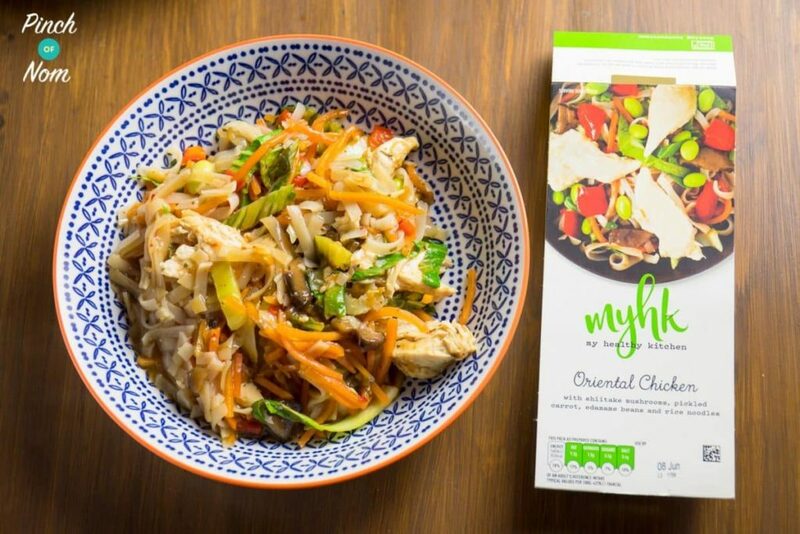 What do the My Healthy Kitchen ready meals taste like? 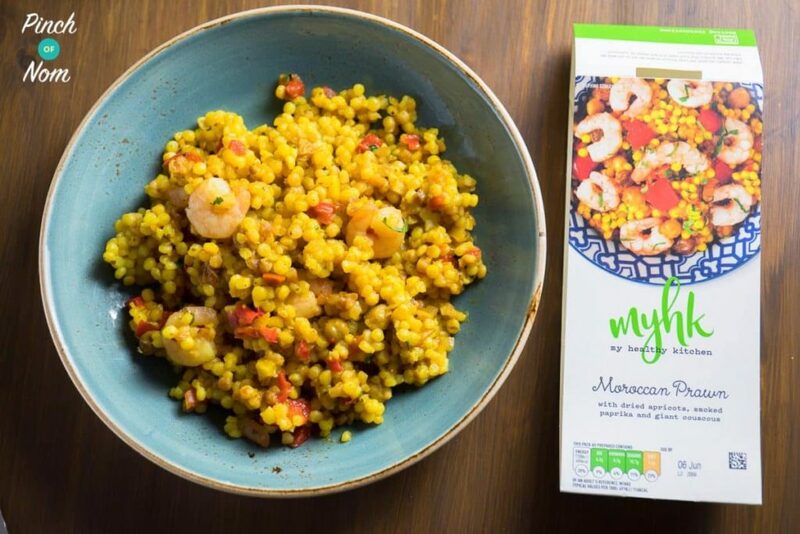 This blend of dried apricots, smoked paprika, giant couscous and a good helping of large, juicy king prawns was definitely our favourite from the ones we tried. Overall the meal was quite enjoyable, but the only slight criticism would be maybe there could be a little more of the fruity sauce as it was a little bit dry. As I say, this is a very minor point and it wouldn’t stop me from buying this particular one again. I really, really liked it! 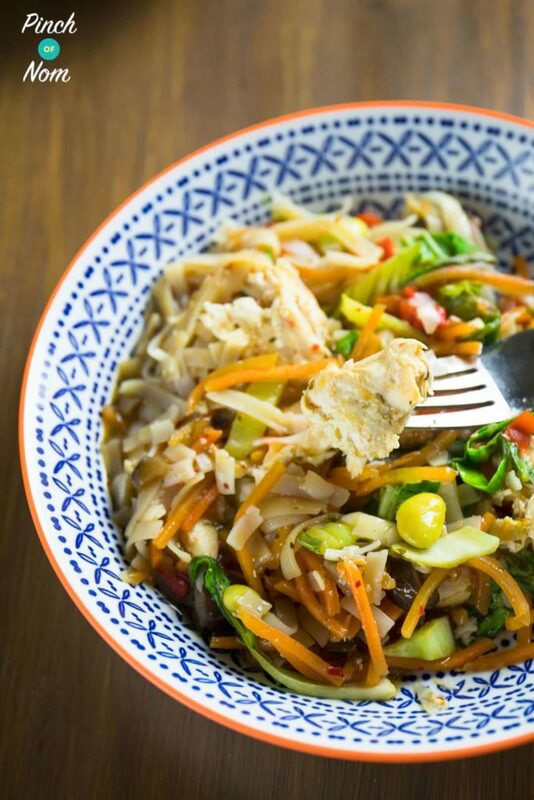 The description for this meal is ‘Cooked rice noodles and pickled carrot mix, topped with marinated chicken, red pepper, pak choi and edamame beans (soya). Served with a shiitake mushroom sauce’. I have to say there was plenty of chicken, nice big pieces, not a measly amount like a lot of ready meals. 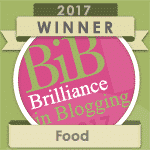 I found the taste was neither here nor there, not brilliant, but not offensive either, and I didn’t think it was worth the Syns. 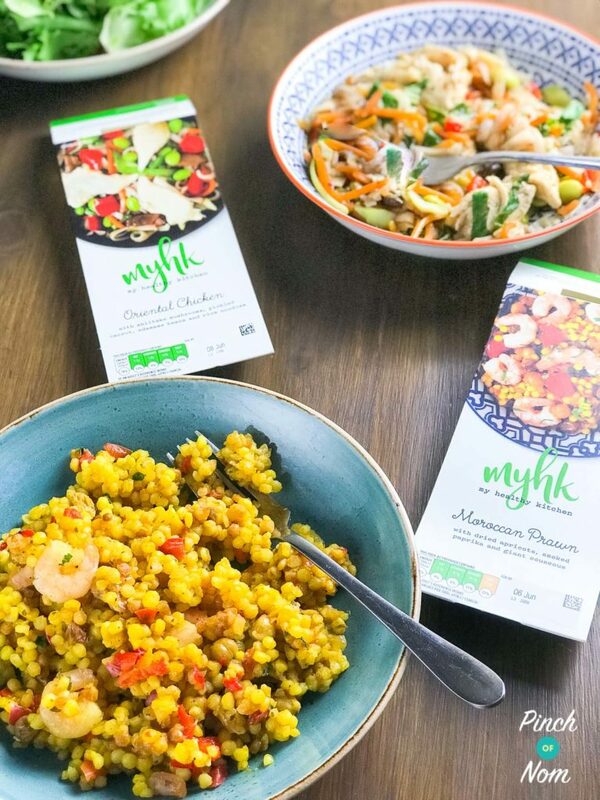 We’re keen meat eaters, but we do enjoy a lot of meat free meals. 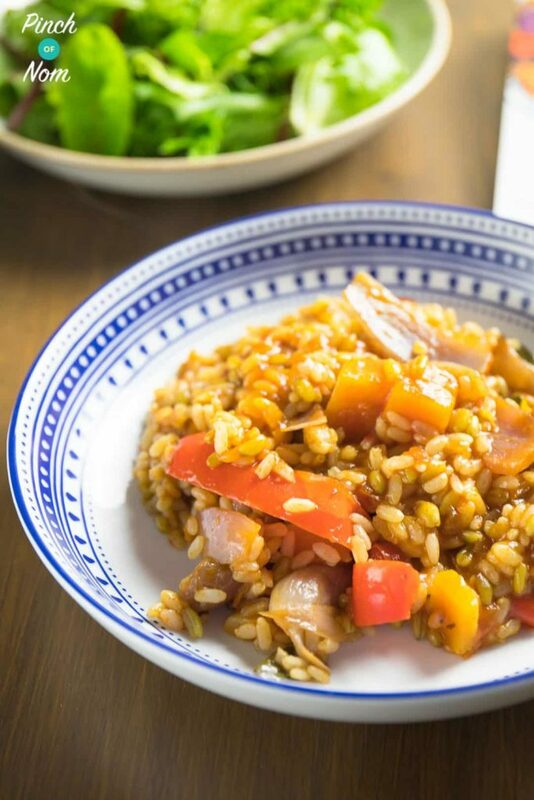 This Roasted Mediterranean Vegetable Risotto with tomato and chilli sauce, Arborio rice and freekeh was packed with a decent amount of chunky vegetables, and a good amount of Risotto rice. The tomato and chilli flavour was fairly nice, but I felt it did lack a bit of seasoning, nothing that a sprinkle of salt and freshly ground black pepper wouldn’t fix. 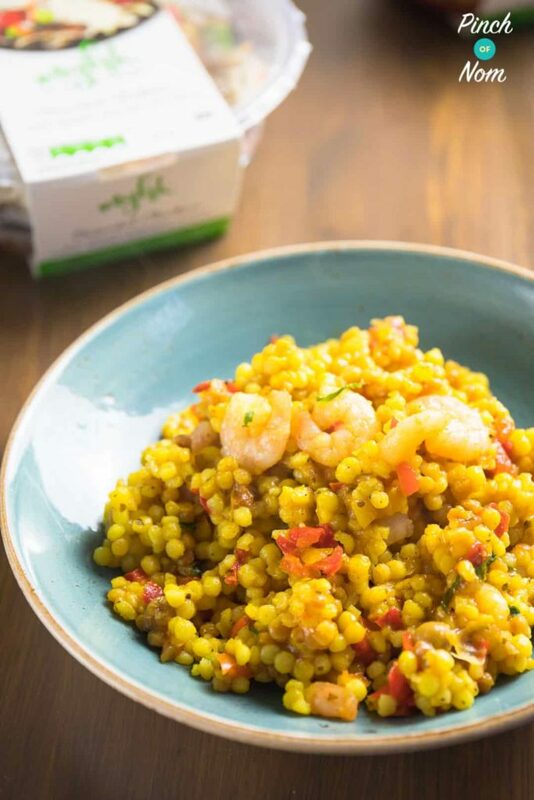 By the way, if you’re wondering what freekeh is, it’s a cereal made from green durum wheat which is roasted and rubbed to create a really distinctive flavour. 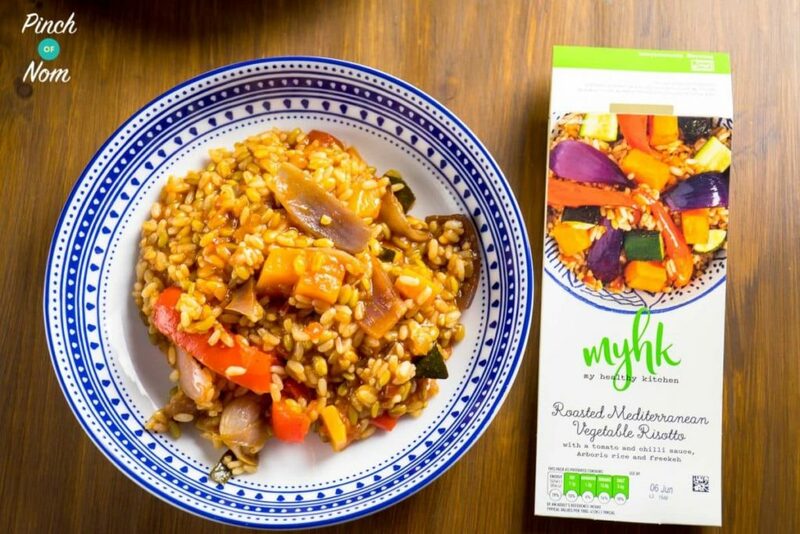 How many syns are in the My Healthy Kitchen ready meals? This is one of the lowest Synned options in the range, it’s in the database at 3 Syns for per 370g pack, and I’d say it was worth the few Syns. 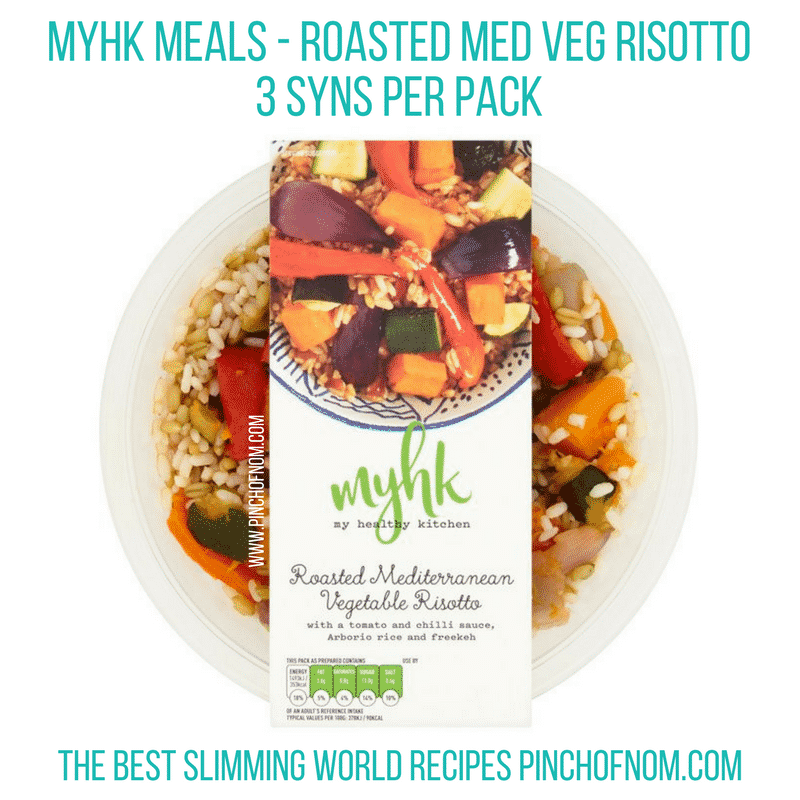 At 8 Syns per 350g pack, this is one of the higher Synned options from My Healthy Kitchen. Personally I don’t think it’s worth spending more than half of your daily allowance on this particular one. Again, this is one of the lowest as far as Syns are concerned. At 3 Syns for the 400g pack I’d definitely say it was worth spending the Syns on. 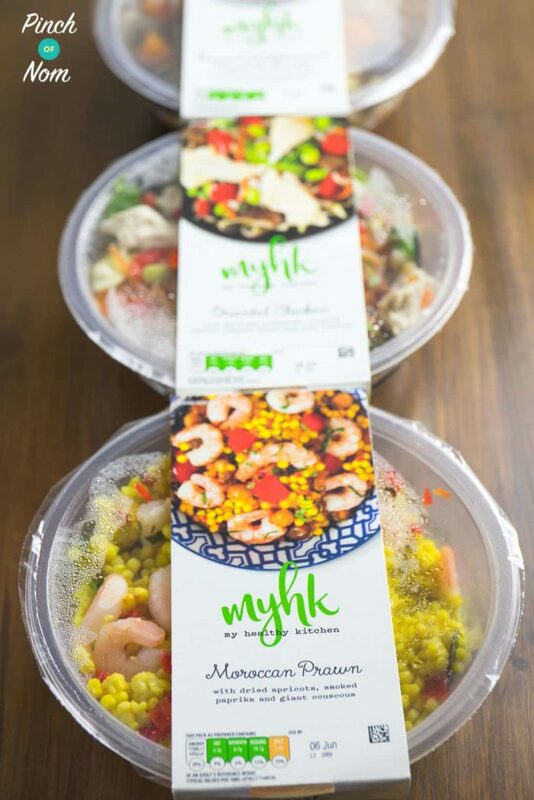 How much are the My Healthy Kitchen ready meals? The whole range is available for £3.99 each. Currently, they are on offer at 2 for £6 from Ocado. 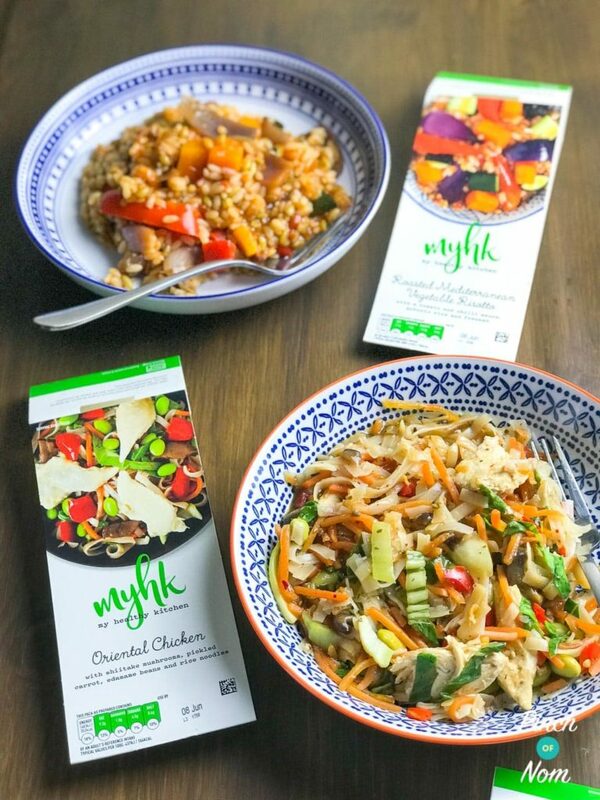 Where can I buy the My Healthy Kitchen ready meals from? This isn’t ideal, as at the moment, they are only available from Ocado, Waitrose or Amazon Fresh. 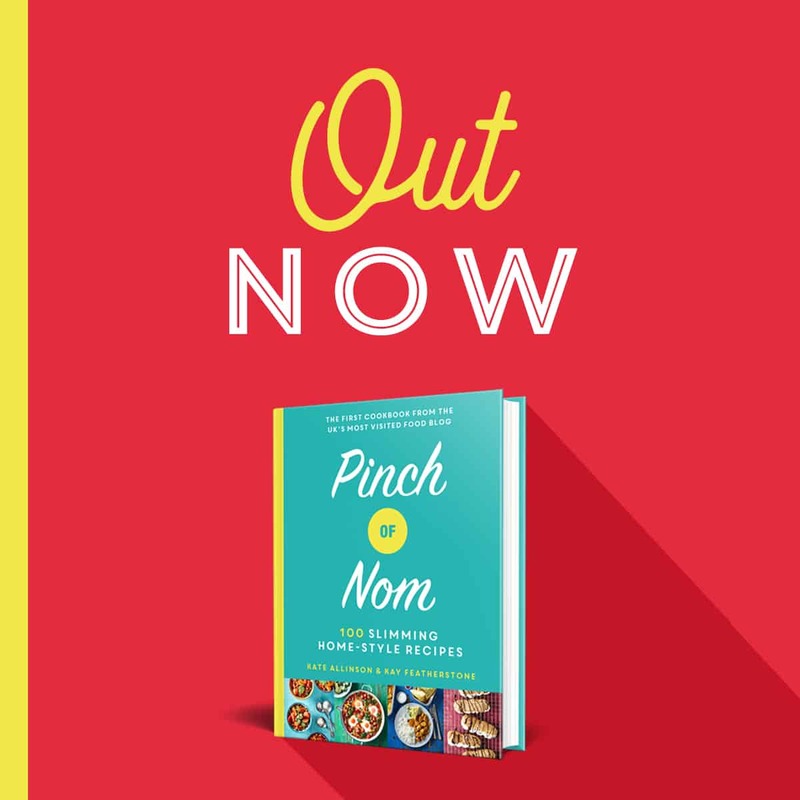 Would I buy My Healthy Kitchen ready meals again? Taking into consideration all the points mentioned above, I think I would buy certain meals from the range. 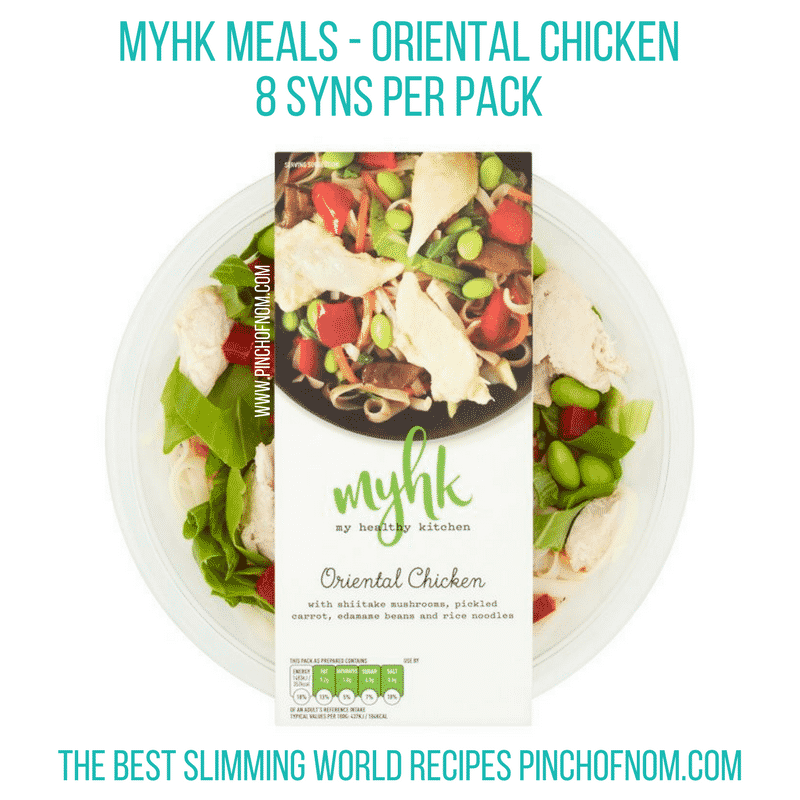 The Oriental Chicken I don’t feel is an ideal option when following the Slimming World plan, and to be honest there are some tastier alternatives out there. 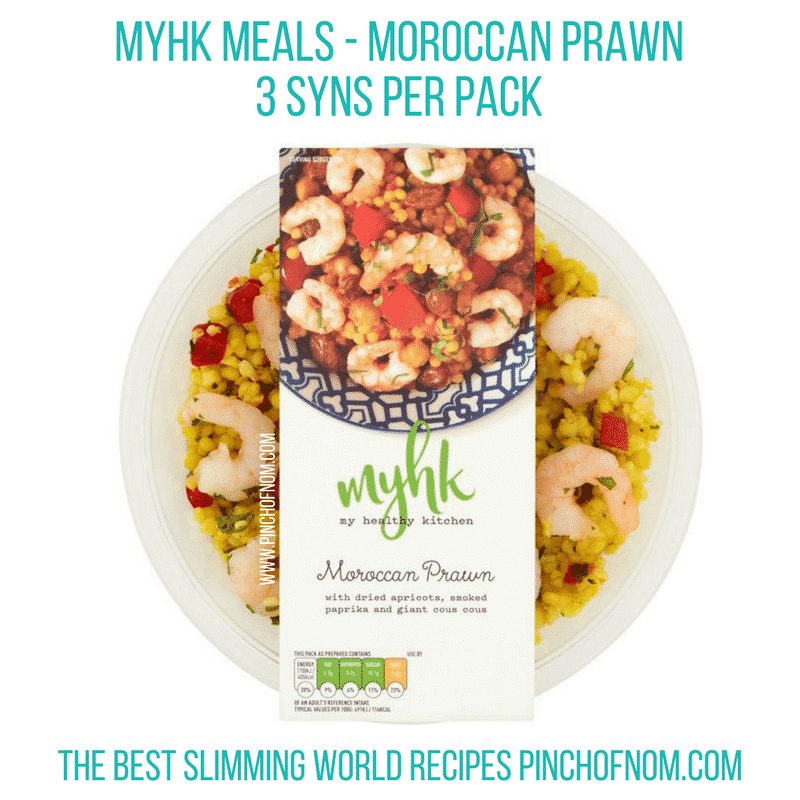 Having said that the Moroccan Prawn and the Roasted Mediterranean Vegetable Risotto are quite reasonable for a quick and easy lunch or an evening meal with a good helping of salad. As we’ve not tried the entire range we’ll have to reserve judgement on those for another time.